From writer and performer of the stage play, "Asking For It"! a. A poor but basically honest student-athlete who was recruited and then romanced by a perennial cellar dweller team that was destined to eventually become a national junior college football dynasty. Buy the Book! 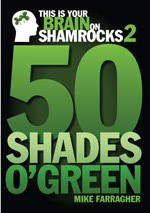 Five individual Irish musicians and entertainers come together in this high-spirited collection of true stories of life on the road. It's all here; the bars, the gigs, the guitars, the audiences and the occasional fights; the hotels, club owners and the odd-ball characters met along the way; the women, the camaraderie, the music and more. 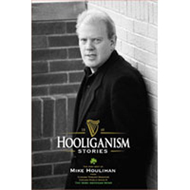 HOOLIGANISM is an anthology of Mike Houlihan’s best columns from The Irish American News, with additional material from the Chicago Tribune Magazine, and Chicago Public Radio. 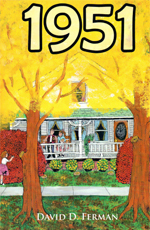 This book captures the best stories from one of Irish America’s funniest raconteurs. Houlihan takes the reader on a picaresque journey as he recounts his travels in show biz as a Shakespearian clown; his days as proprietor of The Hooley-Dooley, an Irish gin mill in Rockaway Beach, NY; his adventures as a theatre and film producer chasing investors; memories of growing up Irish-Catholic on the south side of Chicago; and his day to day tightrope walk as an itinerant actor, father, and husband. Hooliganism also revisits and reinvents several Irish American urban myths and fables featuring a stock company of rogues, scoundrels, and boozers. Funny stuff in ten-minute installments.